I am a very simple, god fearing, caring, talented, understanding, trustworthy and kind hearted human being. I believe in the motto ‘Live and let live’. I hate liars. Fun loving, down to earth, love travelling, sight seeing, listening to rock music, singing etc. 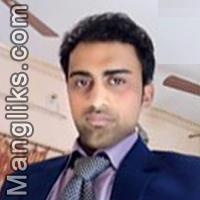 I am post graduated(M.Com) and Chartered Accountant, currently working in Infosys Limited.